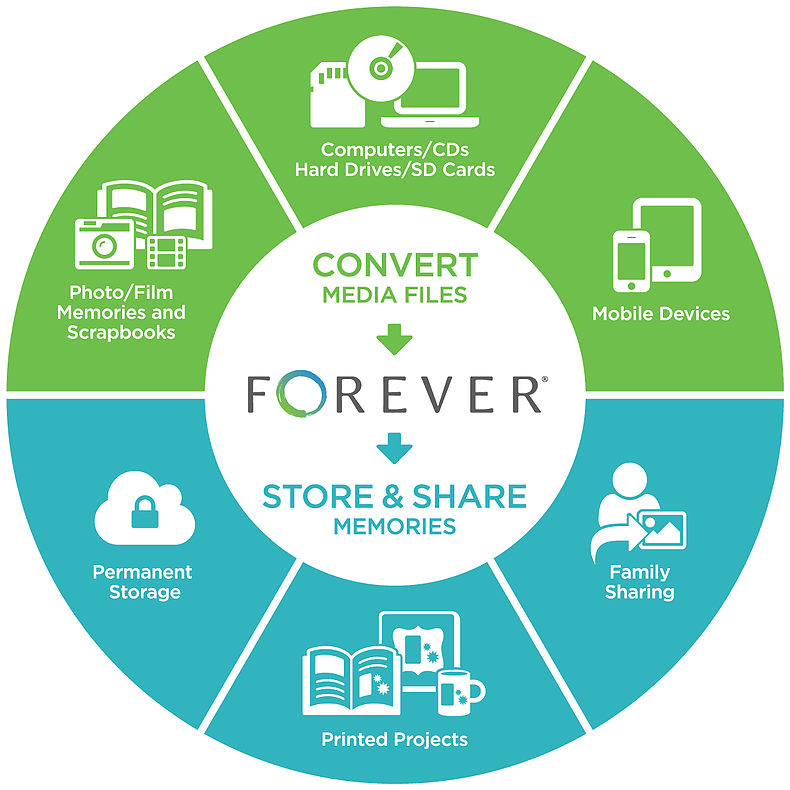 Bulk card making is awesome for when you need a lot of cards for a lot of people...this year I need 30 for the students in my homeroom class, and another 30 for the classmates in my two sons classes. 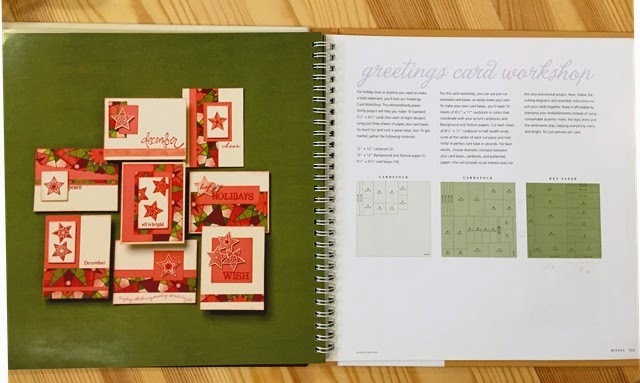 The instructions said that this was a simple and economical workshop, requiring only the card bases themselves, 1 piece of 12 x 12 patterned paper, 1 coordinating piece of 12 x 12 solid cardstock and another portion of a piece of 12 x 12 solid cardstock to create the accents for 16 cards! 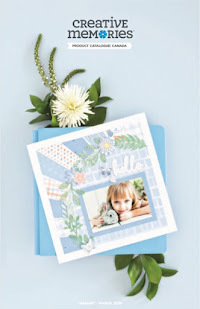 The cutting diagrams and instructions seemed straightforward, and it looked like an easy recipe to create lots of cards quickly. But I needed more than 16 cards, so I thought that just like other recipes, I could "double it" to get the amount that I needed. 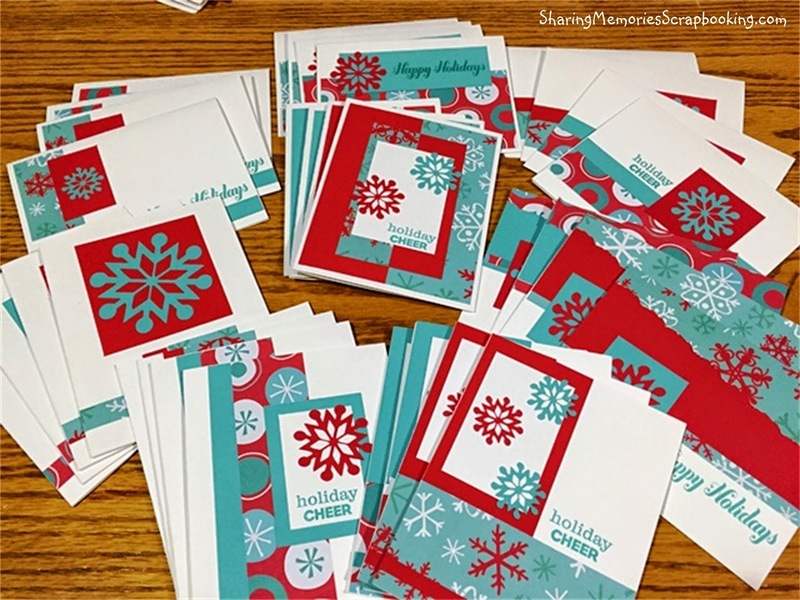 I found two pieces of pretty red and aqua Christmas patterned paper in my stash and knew that a card project like this was the perfect way to use them up. 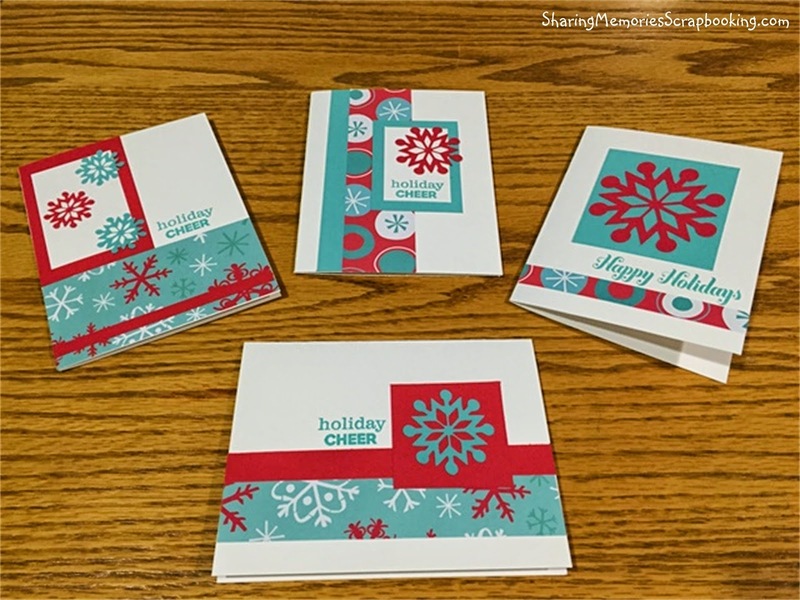 I had lots of red 12 x 12 cardstock, but no coordinating 12 x 12 aqua cardstock, so I used a few pieces of 8.5 x 11. 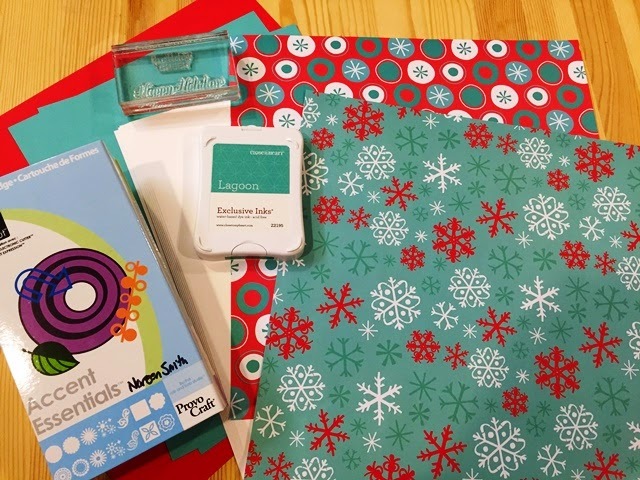 I figured I could use the scraps from both to cut out some snowflake embellishments with the Accent Essentials Cricut cardtridge. I selected two sentiment stamps and a "Lagoon" ink pad from CTMH that I thought would work well with the patterned papers. ...but they are all cute and I love the red and aqua together! I still need about 28 more cards, so I might do another bulk workshop, or simply mass produce one of my favorites. Either way, it's nice to know that it won't take more than 2 hours to finish all the rest of my cards. 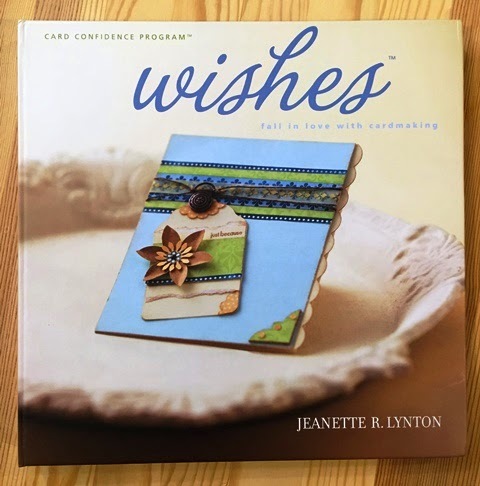 If you need a lot of cards and happen to know a CTMH consultant, ask them to see the Wishes book and give bulk card making a try!